Evalyne with her children Mercy and Kevin in Kenya. 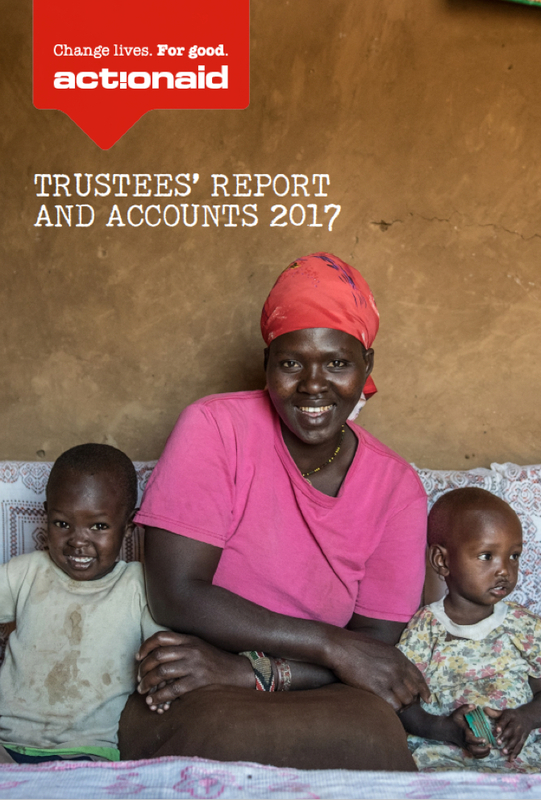 Our annual Trustees’ Report and Accounts charts how, with your support, ActionAid in the UK is making progress towards our strategic objectives. The annual report also includes our audited accounts, explaining where our income comes from, and how we’ve spent it. Our Trustees are responsible for preparing these reports in keeping with the law and the UK Accounting Standards. They are published each year. Download our 2017 Trustees’ Report and Accounts below. 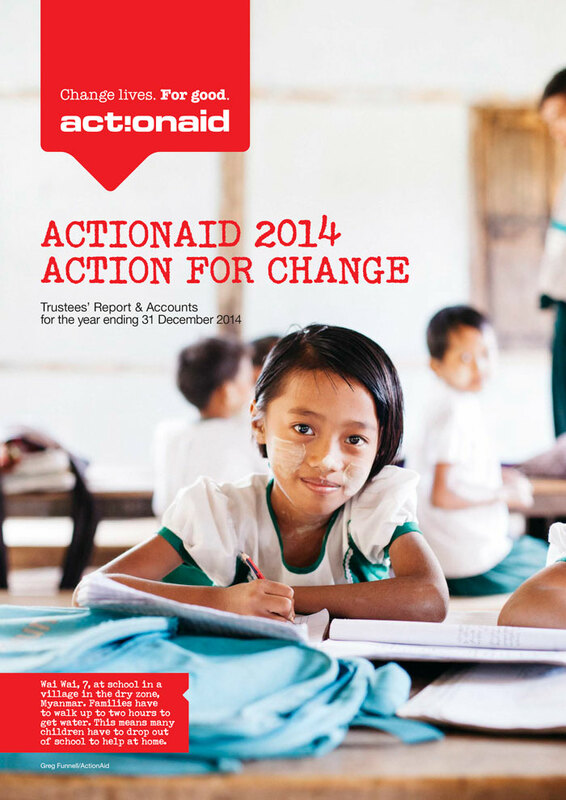 If you have any questions about the Trustees Report and Accounts please email us at trustees@actionaid.org. You can also download previous annual reports. 2017 will be remembered as the year in which women’s rights became the centre of a huge global conversation. 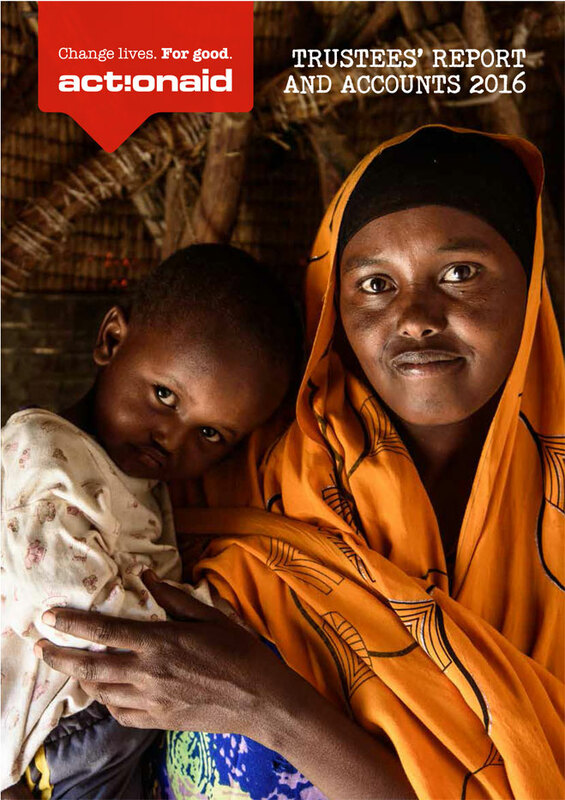 It was during this turbulent year that ActionAid in the UK published our new strategy: Together, with women and girls. We’re shifting our focus because no community can truly prosper when half its citizens are denied the rights enjoyed by the other half. 11-year-old Aya on her way to school in the West Bank. Eleven-year-old Aya lives in the West Bank of the occupied Palestinian territories. Many girls growing up here have faced deeply traumatic experiences, because of the ongoing conflict. Thanks to child sponsorship, ActionAid is able to support children’s clubs where children can learn and play in a safe and nurturing environment. Creative activities like drawing, drama workshops and singing sessions can help them come to terms with what they have witnessed. Fatema, 35, an ActionAid counsellor in Cox's Bazar, Bangladesh. Fatema, 35, is an ActionAid camp counsellor and trained paramedic working in Cox’s Bazar, Bangladesh. Safura, 39, a member of the Acid Survivors' Network, Bangladesh. When an intruder broke into Safura Khatun’s house in rural Bangladesh and threw acid on her, she said it felt like her whole body was burnt. She was blamed for bringing the attacks on herself and was told that she could no longer work. Safura was directed towards Shetu Bandan Gori, an ActionAid-supported network for acid attack survivors. She became group secretary, helping members discuss the issues they faced, and the rights they could claim. With an interest-free loan from ActionAid she was also able to start rearing livestock and provide for her family. ActionAid Bangladesh helped to establish one of the first networks run by survivors of acid violence and also works with local government offices to advise on policies and services that will work for survivors. In the UK, the Survivors’ Runway launched our three-year campaign to tackle violence against women and girls, in all its forms. Safura was one of the stars of this inspirational event. “Through this network and ActionAid, we got this opportunity,” Safura says. Juliet, 18, with Mary Lily, 50, in Ghana. 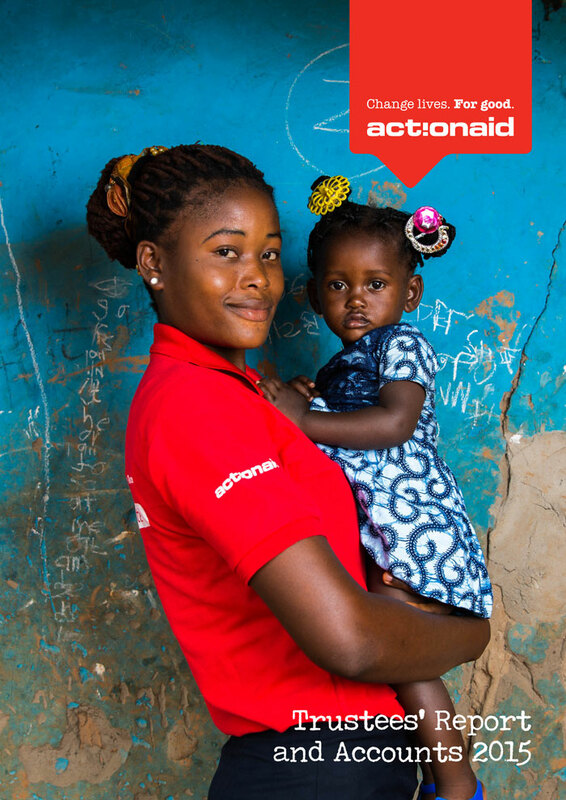 Mary Lily is an ActionAid child sponsorship volunteer in northern Ghana. She started working with ActionAid Ghana back in 1999, and has become a prominent campaigner against child marriage. Now Mary Lily helps to organise awareness-raising sessions in her village, where she talks to the community about child marriage, abduction and the law. When two girls from her village were abducted, Mary Lily put her training into practice. She worked with the girls’ fathers and the village chief to secure their quick release, warning the abductors that their actions were illegal and that they would face prosecution. Our funding comes from a range of sources, including individuals, trusts and the UK government. We are committed to being open and honest about how we spend supporters' money.